Love the floral print and yellow trim detailing on this top!! So pretty and springlike! 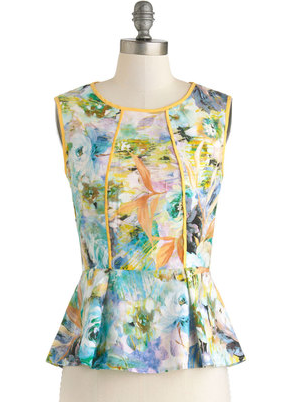 Buy at ModCloth for a super affordable $55. Pair with tailored white pants, of a sunny yellow pencil skirt!